Since the turn of the century, “gluten-free” has seen a tremendous rise in popularity. Research shows that 18,000,000 people in the United States allege they are bothered by products that contain gluten, the protein composite found in wheat and related grains. Gluten has been blamed for everything from acne to joint pain, migraines, depression, anemia and mouth sores. The style of eating gluten-free has become a way of life, a culture really– one that includes restaurant chef cards, similar to business cards, that help convey one’s needs to the chef and kitchen staff as a way to help publicly deal with the “gluten sensitivity”. If you’re not gluten-free, chances are quite high that you know someone who is. Lots of people say they feel much better withholding gluten from their diets. But is it really gluten, or could it be something else entirely that causes so many people so much distress? Where is the substantial science behind gluten to support the mass gluten-free swear-off that millions of people claim? Could the problem be new “wheat genes”? “Wheat Belly” author William Davis, M.D., argues that modern grains are now genetically different, possibly making gluten more abundant in them and therefore “more destructive”. In the same camp we have David Perlmutter, M.D., author of “Grain Brain”, who speculates that wheat is hybridised to increase gluten content as much as possible. But is there any truth to these arguments? Unconvinced by such claims, Donald Kasarda, PhD in physical chemistry from Princeton University and expert in grain genetics at the the Agricultural Research Service (USDA), went onto research if there has been an actual increase in the gluten content of wheat as a consequence of wheat breeding. What Karsada found cast doubt on those allegations (i.e. that gluten content has been affected by genetics). His findings, published in the ACS Journal of Agricultural and Food Chemistry last year, showed that gluten content in crops hasn’t changed in the past 100 years. If anything, the new crops are not to be blamed for the rise in gluten sensitivities. Another 2015 study, conducted by the University of Saskatchewan and published in Cereal Chemistry, arrived to the same conclusion: gluten composition in grains hasn’t changed much since 1860. If wheat genes aren’t the cause of a mass increase of “self-diagnosed” gluten sensitivities, where should we look at? Despite these findings, people still perceive the term “gluten-free” as being a healthier choice. Doesn’t matter if it’s bread, soups, gravies, lip balm, or hot chocolate! The food industry has capitalised on that perception and thus the market for gluten-free is flourishing. As a matter of fact, market researchers in the US estimate the gluten-free category will produce more than $15 billion in sales by 2016. This is a complex subject indeed. Gluten is damned for nearly every sickness. 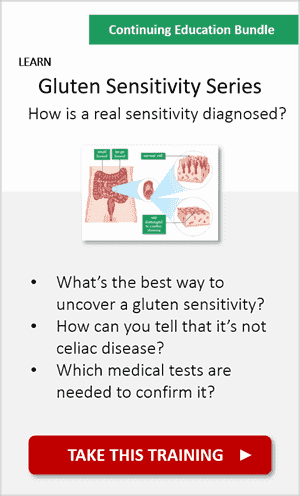 Sensitivity around it is a real issue for some people, like those with coeliac disease. But could this sensitivity be something more serious, like true coeliac disease, or might it be caused by the person’s overall diet rather than gluten on its own? Coeliac disease is an autoimmune disorder that damages the insides of the small intestine, thereby diminishing its ability to absorb nutrients from food. Gluten is the offender in this disease because it triggers that immune response. Curiously, only 1% of the population has coeliac disease; more precisely, 1 in every 100 Brits, 1 in every 133 Americans, and 1 in every 70 Australians. Here’s where the possible harm comes in when you completely abolish gluten from your diet without that sensitivity confirmation: if you do not have coeliac disease, you could be doing yourself more harm than good in avoiding gluten. But what if you’re not coeliac? Can you still have a gluten sensitivity, without being coeliac? Does that even exist, or is it just in our heads because we hear so much about it? Until very recently, medical doctors thought that gluten sensitivity was a “fad” popularised by book authors and gluten-free manufacturers. 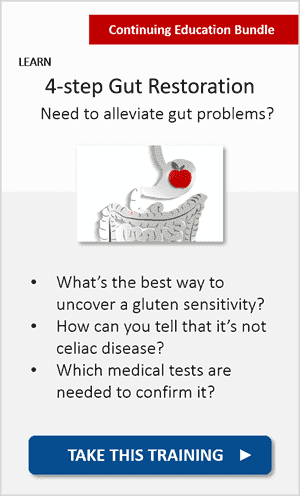 As far as the medical community was concerned, only coeliac gluten sensitivity was a valid diagnosis. But a 2011 study led by Peter Gibson, professor of gastroenterology at Monash University and director of the G.I. unit at the Alfred Hospital in Melbourne, Australia, showed that gluten can cause gastrointestinal symptoms in people without coeliac disease. The news came as a shock to most doctors! His research, published in the American Journal of Gastroenterology, showed you can have a gluten sensitivity without being coeliac and that gluten can cause gastrointestinal symptoms even if you’re not coeliac. 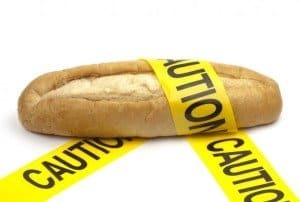 This confirmed that non-coeliac gluten sensitivity exists and that gluten may be responsible for symptoms such as pain, bloating, and tiredness. But it gets more interesting with the second study led by Gibson in 2013, which points the finger to other foods as accomplices to the gluten scene. Is it gluten to fully blame, or is it something else? The second study led by Peter Gibson in 2013, investigated the specific effects of gluten after a reduction of FODMAPs. That strange acronym stands for Fermentable Oligosaccharides (fructans), Disaccharides (lactose), Monosaccharides (fructose) And Polyols (e.g. xylitol) – FODMAPs. A rather large number of people are sensitive to these short-chain carbohydrates, which are incompletely absorbed in the gastrointestinal tract. Because they are easily fermented by bacteria in the gut, they can cause symptoms such as gas, pain, and diarrhea. This second study included people with non-coeliac gluten sensitivity and people with IBS (irritable bowel syndrome). The subjects were put on a low FODMAP diet and when gluten was reintroduced only 8% of them showed negative gluten symptoms. These findings show that perhaps FODMAPs may be the cause of the symptoms together with gluten. It’s important to note that wheat, barley and rye (gluten-containing grains) are all high in FODMAPs too. As you can see, this can be a complex issue in terms of the direction you are heading or helping to steer when advising a client. In our Food Allergies and Intolerances certification, we teach our students how to uncover and alleviate food sensitivity risks in a methodical manner. And that’s really important, because you might be sensitive to just one single FODMAP food, and not all of those in the FODMAP list. It would be a crime to stop eating fruits, vegetables, legumes and dairy, all of which are high in FODMAPs! These are very healthy and not a problem for most of us. Sensitivity to a FODMAP item tends to happen when you eat a FODMAP ingredient in ultra-concentrated amounts – think high-fructose corn syrup and added sugars in processed foods like pastries, pies, biscuits and cakes, which by the way also contain gluten (as well as gluten-based additives to improve texture). Unsurprisingly, these types of foods can be quite addictive and easy to overeat. Have you ever self-diagnosed a reason to go gluten-free? Do you think gluten is to blame – or might it be your overall diet? Join the conversation and share with us below your comment or story so we all can benefit from each other. And pass this along to those who might enjoy discovering some misconceptions about gluten! Leaky Gut: Fact or Fad? I have been advised to stay away from gluten for about twenty years ago as I had lot of acne and gastrointestinal problems . as I improved my diet I slowly introduced gluten every now and then, but only chose pure organice healthy wheat grains like rye bread , barley bread , kamut bread or even spelt bread. It went well with my gut. The problem was with processed white flour items like pastries, cakes , and white bread. So, yes in my experience with wheat /gluten the culprit is the processed white flour + sugar + nasty additives added in it. The pure organics wheat is not be blamed. Every in access is harmful. So balance is the key. My views are not centred just on GF, but extends to the society that we live in today! I have now been on a gluten and wheat free diet now for seven years when I was confirmed with coeliac disease. As long as I am careful and question specific products that you would assume are G&WF you are safe. Recently enjoying a seasoned cappicunio, the chocolate powder had gluten in! There are so many food products out there on the supermarket shelves that have wheat and gluten in! We are living in society that live on processed foods and have poor diets. Change that, and living on a GF diet can help the obesity crisis. 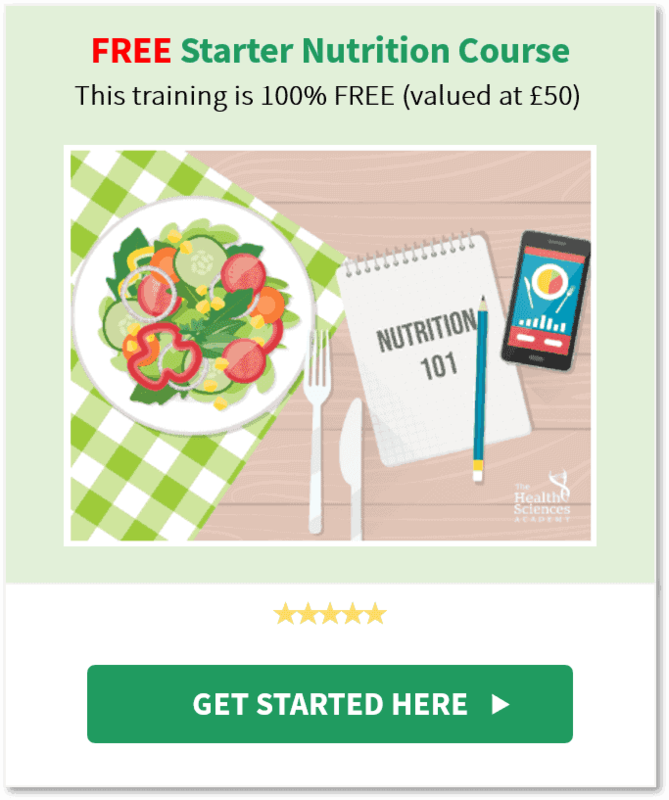 Peter Green MD suggestes that as long as you have been confirmed as coeliac disease, and have a dietitian to help plan meals and change eating habits you will not be lacking vitamins, minerals and fibre. it is important to understand food and nutritional value to live on a GF diet if not confirmed with coeliac disease. So many people don’t. I have been gluten free for about a year now after self diagnosing. It has made a big difference to my weight and overall energy levels. I have suffered with eating disorders for most of my life and eliminating gluten and eating a high protein diet, plus using amino acid supplements such as 5-HTP, Glutamine and Tyrosine have transformed my eating patterns and relieved me of suffering from these heinous conditions. So my diet mainly consists of high protein, lots of fruit and veg, I still eat carbs but eliminated sugar and caffeine too. So really adopted a ‘clean eating’ approach. I eat full fat yoghurt, cheese etc, no low fat products and I cook with whole butter and ghee. I feel better and have lost and maintained 2 stone. I also exercise around 4 times a week. So in line with what this article suggests, I do believe gluten plays a huge part in a range of disorders, but so too does sugar (sugar is one of the most powerful and addictive drugs on the planet!). Adopting a change in mindset rather than ‘dieting’ is the way to go. I am not rigid about it and do drink tea on occasion and eat sugar, but I feel the difference immediately. Concisely put and very balanced. Looks like many would benefit from the simple advice Eat Real Food. I am a cereal farmer (includes wheat) as well as a student of this Nutrition course. Gluten is not the only additional protein that has arisen in our current high yielding, short-straw crop. There are at least ten more such as gliaden, so excluding wheat from your diet has much greater effect than the elimination of gluten alone. Celiacs must go cereal free, not just gluten free, otherwise the consequences may even be fatal. Consuming wheat leads to the production of Zonulin in the intestine which opens up the tight juncture in the gut – blood barrier. This is just one cause of gut permeability – leaky gut. This allows materials into the bloodstream that should not be there. Not only does this overload the liver and kidneys, but it sets off the immune system, even into autoimmune attack – the body attacks its own tissues. Partially digested protein, clusters of a amino acids enter our bloodstream and appear as invasive organisms to our immune system. Unfortunately, some of our tissues, with the same amino acid sequence in them as the protein particles, also get attacked. Many other factors can cause leaky gut, such as yeasts, parasites and bacteria rising up from the ileum that feed off undigested sugars in the upper part of the small intestine. These sugars should be broken down by the micro villi from disaccharides into monosaccharide (glucose), which is easily absorbed into the bloodstream. In the presence of trapped sugars, the gut bacteris can mutate and survive in more acid condtions, producing waste products and toxins that enter the bloodstream too. This may even cause the blood pH to rise. Dairy and wheat intolerance often go hand in hand and this may be to do with the very high ratio these foods contain on the amino acid glutamate. Watch this. Finally, the ultimate test for intolerance involves the Mediator Release Test (MRT). This highlights your sensitivity to 150 foods and additives by identifying the antibodies you have produced from eating any of these foods. Your blood sample has to be delivered to Poland for analysis within 24 hours of the draw. It costs about £450, but you are left in no doubt as to which foods suit you and those that harm you. You need this informatio to overcome chronic illness. I hope this has sparked your enthusiasm to know more through your own investigation. No one has a greater interest in your well being than you do. After reading this I wanted to find out a bit more about the backgrounds of those Scientists/Experts mentioned near the beginning of your article. The first thing I notice is that Donald Kasarda works for the US department of Agriculture. This immediately in my mind questions the validity of the research done. Because and no doubt he is an excellent scientist and researcher in his field, but any research funded by the US government will inevitably have a result that is beneficial to or at least not damaging to the countries economics at a high level. Confirming Gluten/wheat (there is crossover to sugar here to) as a large component of an ever sickening country would certainly not benefit the big companies that make millions from the production of GMO crops & their edible end products, the same companies who make vast donations to government bodies. Researches are pushed by the need for funding to show an end result that will make their funders happy. When contradicting papers/journals/articles come out it is always worthwhile looking at the funding body behind the department or their hidden agenda. Obviously this is looking at only the first of three experts mentioned and I am yet to look into the others, there are always hidden factors at play and we should always consider what may be influencing the information we receive. Always question what you are told regardless of its source! I cannot eat gluten or most grains. Experience everything from overnight weight gain, depressed mood, inflammation of the joints, body aches and pain for starters. People have amazing health improvement when they remove gluten and grains from their diet, as well as dairy. This is not a made up disorder and many people have this same issue. I would never trust anything put out by someone working for the department of agriculture, who has lied to us left and right about the safety of our food ladened with pesticides and GMO’s. For the past 4 months I have been GF. Everyone in immediate family is a coeliac or has IBS, so I self-diagnosed myself and started eating GF. I eat a lot as I work out 4-5 times a week. 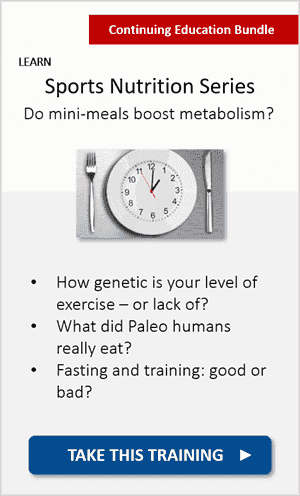 A few years ago I was eating loads of bread and white carbohydrates for my main source of energy. Since eating GF I have more energy, my acne has cleared and I am less bloated and gassy after big meals. When I do eat bread or anything containing wheat I feel very bloated and uncomfortable. A huge part of being GF for me is a healthy life choice. I have recently started study sports nutrition and am delving into the education and childcare industry. Some of the best athletes and sports stars in the world have recently started to live with a GF diet, this is surely a great example of how it affects performance, exercise and living a healthy lifestyle. I agree that GF can help cure obesity along with helping to solve a lot of health problems that many people in the western world are going through. I believe that the younger generations need to be aware of what they are putting into their bodies and its up the us to tell them! The food that kids are eating and exposed to in today’s society is very scary and change needs to happen! Very informative. I read a lot on gluten-free because I eat regular foods that contain gluten, believing that it is mostly a marketing gimmick with maybe 1% truth to it. This article was so enjoyable to read!!! Giving research findings without a marketing bias. I particularly liked the statements on ‘new wheat’, that gluten levels are the same for the past 100 years. I had a food allergy test done and found out I am allergic to gluten. I have a problem with most grains. My husband had his thyroid removed and unfortunately his parathyroids. It took the hospital 6 weeks to determine he might have a gluten sensitivity. He was in and out of the hospital every time he ate something that had gluten in it. If he eats gluten, he goes into a tetany event within 12 hours, then it’s an emergency room visit, ICU with heart monitor event. Excellent article!! Well researched and allows the reader to form their own opinions. I didn’t know a few things I have learned today. What I do know is that “leaky gut” is a fad or theory made up not long ago but there is no real medical evidence on it. Many American MDs think that a basic degree makes you an expert in other fields and they end up promoting more fads than anyone else. Whenever I read the words “leaky gut” on a blog, like “authority” (?) nutrition, i lose all respect for them and dont trust anything else they say. Thank you for a fresh look and for your unbiased research!! Actually there are a lot of studies to support increased permeability and its role in disease. Remember that science is advancing its theories all the time and keep an open mind – many of the things we think today may be disproven in 10 years! I was told by several different health practitioners that I was sensitive to wheat. I had very itchy skin and when I stopped the wheat, even in my skincare products, all the itching stopped as well. I switched to organic spelt flour for everything and the itching didn’t reoccur but I was still fighting continual constipation,in spite of eating really good high fiber, intestinal parasites,adult acne, and a lot of gas. In January of 2014, I decided to go completely gluten free to see what would happen. I was amazed. For the first time in 50 years I am not constipated and have not had to do extensive parasite cleansing at all this year. My skin has cleared up, wrinkles are gone (at 60) as well as cravings for high sugar stuff. Before I was a sugarholic. Now I only use natural unprocessed sweeteners and gluten free products. My digestion has improved tremendously and my leaked gut is healed. I believe much of it, if not all, is fad, with regard to GF and ‘wheat belly’ and that the main culprit behind most issues is people don’t eat healthy foods. Although, I also believe people can have individual intolerance’s to foods. These can be very difficult to identify. I myself have a peanut and a whey intolerance. Note, not a peanut allergy but it does make breathing difficult. Whey, makes me feel nauseated. Also, curry makes me feel exhausted when eating daily (once a week it’s barely noticeable). I generally eat 90% fruit and vegetables and feel great. I always note what I do eat that’s different and try to match any odd reactions to what I’d previously ate. Often people will eat what is generally healthy, have a food reaction to something, and then conclude that all the whole foods they were eating were all bad. When, in truth, there was only one or maybe two culprits, that didn’t agree with the persons biology. We really have to be mindful of what we eat. I work at a health store and have had an opportunity to attend a medical conference through Metagenics. The doctor who spoke was a gastroenterologist surgeon, Dr. Kornberg. He explained how gluten can act like glue in the gut. It sticks to the villi hairs of the intestinal lining. It eventually creates small holes in the intestinal lining causing the proteins or waste to leak through into the bloodstream. From there the blood carries the waste throughout our bodies which can cause autoimmune disease. In some people it can travel up to the brain. That can lead to ADD, brain fog, and other ailments. I have also seen it destroy a young girl who has Down Syndrome. This is leaky gut. High Fructose Corn Syrup can also do the same thing. Dr. Kornberg quit being a surgeon, much to the dismay of his wife, and now works with Metagenics. I believe that this truly is not a fad. I have seen for myself many people be healed by eliminating gluten and high fructose corn syrup and also dyes from their diets. There’s definitely a chance that a small percentage of the population suffer from a true wheat gluten intolerance. Much like there’s a small percentage that suffer from lactose intolerance. Still, proper studies have to be done in order to substantiate. There are those that theorize that often the failing mechanism behind many of our health issues is that we don’t properly nourish our bodies with the proper foods to begin with. As a result our body is not capable of doing what it should be able to do. Improper digestion, weak immune systems, autoimmune diseases, lack of clarity, etc. This could be the reason behind most people’s belief they have gluten intolerance. I believe humans are best suited to eating vegetables and fruits, with some whole grains and few meats, to be optimal. There likely are individuals that tolerate different diets and proportions well. Studies though, show meat acts more as a catalyst for disease. This includes dairy products. Studies also show a mainly vegetable and fruit diet does promote optimal health with stronger immune systems. When my oldest son was still a baby, 38 years ago he broke out with eczema all over his body. The pediatrician told me to take him of wheat, eggs and dairy. Within 6 weeks the eczema was all gone. I was then able to start him back on them one at a time. Turned out the culprit was wheat. I didn’t even know about gluten, back then. Although he eats wheat now, he did have a bout with colon cancer and had to have part of his colon removed. Is there a correlation? IDK but eating gluten free, by choice not necessity, isn’t that hard and for the health benefits I have gotten out of it, it is worth it and I think, a good place to start with any client who has digestive issues, and really, who doesn’t. In the False Fat Diet by Dr. Elsen Haas, he talks about food sensitivities and all the health issues they can cause. One lady had several pages of health issues and, when they did her sensitivity tests, mustard was the only thing she was sensitive to but she put it on everything. When they took her off mustard, all her health issues resolved themselves. I think, if you feel better off gluten then what else matters? I think it’s very important to always consider a food intolerance, not necessarily to what is currently fad, but to those things that you’d least expect. For example, where Claudia mentions mustard, who’d think of mustard as a culprit? It is often this type of thing, and it can be difficult to discover. My own peanut, egg and whey intolerance were difficult to discover. Peanut and egg through some hard detective work. Whey through a blood test. Sometimes tests work, other times they don’t. As frustrating as it is, it takes some good detective work. 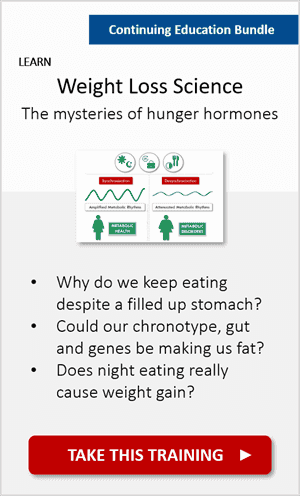 One shouldn’t give up on finding out what food may be the culprit even though it can be exhaustive. With regard to the current wheat belly and gluten intolerance fads though, I know several people that have believed that these foods were the cause of their over weight issues, other health issues like lack of mental clarity and even cholesterol problems. In truth, most of their issues, if not all, are caused by their lack of a pure, nutritious diet. Which is mostly eating vegetables and fruits with few meats (if any). These folks say they eat good but count white bread, beer, fats, and way too much sugary food as eating healthy. This is where most people should start with eating pure foods (mostly vegetable with fruits), see how they feel after a few weeks, or months. Then start looking for that intolerance if still experiencing problems. Often by cleaning up ones diet the body heals itself. I used to be exactly what you described. I have been gluten free on and off for years. 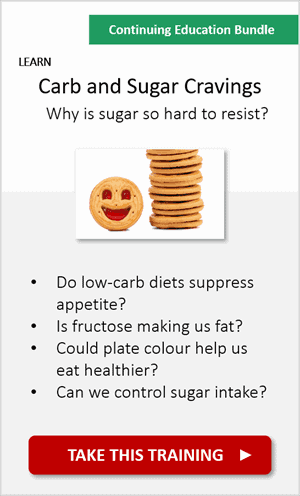 Anytime I reintroduced gluten back into my diet, sugary foods would follow, (or vice versa) and I would binge eat both sugar and gluten again. My intention was that I would “just be bad, just this once” but my resolve would fade and I would binge. I would regain weight that I lost and all my symptoms would flare up again. While gluten free and low sugar I felt better but never great. I naturally eat well (when not on a sugary binge) and all our food is healthy homemade food and I research health fairly avidly. I travelled to Sydney for 4 days 4 months ago and brought all my own homemade food with me so that I wouldn’t get stuck with takewaway food. My food was all gluten free and very healthy and for lunch I had homemade chickpea and tahini hommus, and a handful of plain corn chips for dipping along with carrots and celery, quinoa and nuts and seeds in a tabbouleh style salad and felafel balls (along with other safe foods for me). That night I was in so much pain that i couldn’t stand because of the cramps and I couldn’t sit because I felt like my stomach would pop. I had to leave the party I had gone to Sydney for. My friend felt the same years ago and had a friend tell her that she may actually need to go grain free to feel better. I have been on the 30 day Autoimmune Protocol reset diet for over 60 days now and am just about to start adding egg yolks back into my diet. I have not felt so good for many years. I have lost over 10 kgs, have more energy than ever, have clear skin, my mood swings are almost non existant, I sleep well and the heart palpatations I would get each night in bed have gone completely, working with my homeopath my hypothyroidism is balancing out and I am healing my leaky gut. My intolerance list was growing like a weed. The autoimmune protocol eliminates all foods that could be a gut irritant for 30 – 60 days, allows gut rest and healing and then you reintroduce foods one at a time to check for reaction. I am eating 9 – 11 cups of veg a day, minimal fruit, meat, high fats and broths. I do not miss carbs or sugars and am satisfied and healthy. I will reintroduce eggs, limited dairy (cultured only), nuts and seeds, nightshades and see how I go with legumes. I expect that i will never be able to go back on grains and will not go back on uncultured milk products. If straight gluten free doesn’t do what you hope, it may be worth looking a little further and exploring hypothyroid and leaky gut link. If you go gluten free, as the above posts state, sugar free will need to go along with it to give you real healing. Oh and as for mood swings – I homeschool my 5 kids and some days I would get up and just be plain nasty and intolerant of anything that I didn’t consider to be right behaviour. We would talk about the fact that I needed to work on my lack of patience (which would confuse me because I am actually a very patient person). On Christmas day I cooked all my own food so that I could enjoy myself and still stick to my food elimination process. That night I ate one left over sausage (GF) and 7 chocolates (from a Favourites box). The next day I thought I felt ok until 2pm when I was struck with pains that I thought was the beginning of gastro. I was on the couch all arvo and went to bed early. The next day I woke up with the worst case of bear with a sore head. It was so clearly a food reaction as I hadn’t been irritable with the kids for the previous 60 days that i’d been off foods I obviously react to. It was a big learning curb for me that my moods swings are definately food related. By the way , Syd has the best fresh organic food in the world. There is absolutely no need to bring healthy food to Syd. If you eat well n know your healthy food well you would know there is nothing yiu can’t get in Syd. We have the best organic eating places. You can get grain free items very easily. So for next Syd /aust trip. It will be handy. Sausages definitely are a no no !!! Chocolates that kind are loaded with sugar. So it is quite obvious to get reaction ! How about try dark org choc instead ! At the end of The day we need food that binds the fiber too n soothes the gut . paw paw /papaya is anti inflammatory , it is excellent for healing the gut. Please any one feel free to comment on what I wrote so I can improve my knowledge. I’m here to learn /share /express. Asma, moong dhal is not a grain, it’s a legume. It’s a type of lentil. 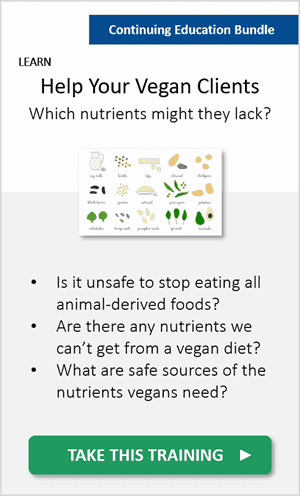 It’s quite possible to eat a nutrient rich diet without grains. If you go grain-free you can still possibly eat buckwheat, quinoa and other psuedo-grains. But this is entirely individual and each person must work out what suits them and what does not. All our bodies are different. It is always interesting to see how opinions evolve on the subject. I have an extreme form of coeliac, which at least made it easy to diagnose when I was a toddler. This causes my skin to fall off my hands, shoulder and face as IgEs accumulate under the epiderm. Luckily, and characteristic of Coeliac, although the extended wounds will seep and bleed for several weeks, they leave absolutely no scarring. This leaves me quite ambivalent as to this “fad”. I am grateful for the range of products now available in every store (I was 21 the first time I had pasta, it was the most exotic thing for me!). On the other hand, eating out is in fact much more difficult – in the past, people thought ‘death’ when I mentioned my *allergy*, now they either think ‘annoying young woman on a fad diet’ or ‘gas problem’. With awareness come opinion, not enough facts and too much noise. It almost makes me wonder, should we even debate this at all? Some people are ill, let’s accept them and not try to guess just how ill they might be. There’s no doubt there are people that truly suffer from gluten intolerance. As a result need to take precautions with their diet. The current craze though, is a fad. Less than 1% of people are actually gluten intolerant. Yet, many, many people have jumped on the gluten-free craze. A recent study of those who believed themselves to be gluten sensitive, either self-diagnosed or by a natural pathic practitioner, were not gluten sensitive. Worse, a high percentage of these people that claimed to be gluten sensitive weren’t even eating a gluten free diet, even though they claimed they were eating gluten free. The important aspect is to truly convert to a healthy eating lifestyle. That is, to eat what we are meant to eat. Importantly, don’t even deviate to any amount of low quality foods, especially if sensitive and problems are apparent. You can tell by the number of comments following this article what a huge debate there is on the issue of gluten. I was particularly interested in Sam’s and Jenny’s comments. This is stuff I’ve read in many different places before and so much of it makes sense to me. My bottom line is if you don’t feel good eating wheat then it’s not the right food for you. However, it can be tricky isolating it as an intolerable food. There is also the possibility of cross-reactivity. Once sensitized to a food your body can have difficulty distinguishing other very similar substances, and will therefore react to them. There are many substances that look like gluten to the body, even the surface of the thyroid is similar (this is often the cause of auto-immune thyroiditis). This all comes about by developing leaky gut of course. The opening up of the gut’s tight junctions (as Sam said) can let all sorts of foreign bodies in. Food in the gut should be sealed from the blood stream, but with leaky gut tunnels are made. Sometimes healing the gut allows people to expand their diet again later on, whilst being very careful about reintroducing each food again. I’ve been wheat-free for about two years now. I can’t say for definite that I’m intolerant but I value the integrity of my gut therefore I’d just rather not take the chance. I don’t believe there’s any nutrition in wheat that you can’t get from other foods so this argument is weak. The thing that really worries me about the GF movement is that people seem to think that if a product is GF it’s healthy. I am astonished by the number of chemical additives in some products that were originally developed because of the gluten in the wheat (bread, cakes etc). Gluten has unique properties so to make bread etc without it they need to add a whole load of extra chemicals to perform the task that gluten once did. So if you regularly consume these products it may be just as bad as eating the gluten?? Companies also push products as GF when there wouldn’t normally be gluten in the recipe anyway. I advocate eating food rather than food products. This means making meals at home from fresh/dried, raw ingredients. That’s not to say there is not a place for the occasional convenience item, if you tolerate the ingredients well. But if you’re going to eat food products it’s wise to buy the ones with the fewest ingredients with names you recognize and can pronounce. This way you are consuming as few synthetic chemicals as possible. I’ve been gluten free approx 20 years now after a biologist told me about a book called “Eat Right For Your Type”. Basically, different foods for 4 different blood types. I gave up wheat, dairy, and acidic foods because of my Type O blood and the results were amazing. My allergies, Acid Reflux, bloating, and wheat belly all went away almost immediately, and at 60, I’m now a personal trainer for 50+ in perfect health, eating only organic vegetables and meats. I miss pizza, but once in a blue moon will order one, “gluten free” of course. I’ve been (mostly) grain free/paleo lifestyle for five years in August and can honestly say I’ve never felt better. I didn’t have any diagnosed issues, but stumbled upon the Primal Blueprint book and thought it would be interesting to see how I’d ‘react’. I used to train six days a week, ‘carbing up’ and managed ok, but since the switch I’ve trimmed body fat train about two days a week and get no post lunch sleep haze. I’m not saying this would work for everyone, but it has for me. Interestingly, when my wife eats paleo she has lost weight (body fat) and has lots of energy, but now she has returned to the carb-side (cue Darth breathing) she is always tired/ lethargic and has re-established her outer padding. I always like to read about balanced views and make a decision based upon my beliefs. I guess the poster above got it right…..just eat real food!! Thanks for the sharing and insights! I was discovered to have coeliac disease 7 years ago and has been on GF diet ever since. My health has improved but still suffered from a few digestion problems from time to time. For me GF means to have more natural, real food instead of processed food. I now mix raw food into my diet and find this beneficial. I wonder if other reasons could be cause for concern. Such as adhesions. I have not been diagnosed with anything in particular. However I do have some amazingly difficult food related intolerances which might relate to gluten. I do seem to have intolerance to food itself! I eat all the right things and leave out the ones in KNOW will cause me to bloat. However the condition seems to have a sudden onslaught. I can be fine for a week or two, r currently – a day or so when suddenly I feel my muscles internally tightening and swelling. I can have such discomfort almost immediate after eating even the smallest meal. I am not a big eater – far from it, but I do it a healthy diet. I manage 4 or 5 portions of veg in small quantity a day plus 2 or 3 small portions of fruit i.e. 1 x Large strawberry + about 10 Raspberries + handful of blueberries. I might snack on these during the day. Just thus week I had such an attack of float I looked 10 months pregnant, all internal organs appeared to have moved out of place at least that is what it feels like; my lower back seared with pain, which then spread up to beneath the shoulder blades and the whole thing was so baad I had to call my doctor. The point is this – I do know I have adhesions. I have had a lot of surgery for various things of which one was to repair a vaginal fistula bought about by the removal of my womb to which the bowel had adhered causing retroversion of the womb. The fistula happen when the surgeon cut the womb free of the bowel to remove it. I have had symptoms ever since. The last operation 4 years ago was to just the large intestine free of the abdomen. Fortunately for me this was done by keyhole surgery. So in most case I believe adhesions are the cause of my condition. I know when I eat bread I will swell. On the odd occasion I will eat a pain au raisin just because I am so hungry. SOME TIMES it is fine but other times I wish I hadn’t. Because the same symptoms occur when I eat meat especially red meat, I tend to lean to the veggies and am now making homemade soups. These are easy to absorb, however my portions I have discovered, again can only be very small because my system seems unable to cope with the bulk. My muscles go into spasm just sitting at the computer ! The cause of having to be ‘Gluten’ free in my case, I believe is the adhesions. Which means I really do have to protect myself from free radical damage adding to the onslaught. Feeling so ill by the end of the week I tried a Pro-Biotic which seems to have worked. Maybe there is lack of GOOD bacteria in the gut. The result has been amazing so I will continue with them daily for a few days and see how I go. I went gluten free a few years ago because I really felt like wheat was bad for me. My family is Italian and we eat pasta and bread every day, sometimes twice a day. the way my boys reacts to wheat in particular is quite concerning for me. I get very addicted to it and need to more regularly during the day to keep my hunger pains and low blood sugar under control. I don’t know if it’s gluten but it certainly in wheat. I would seriously need to eat every 2 hours, and I realised this is not normal. So deciding to do something about it I went gluten free, but still eating breads and pasta. As I slowly educated myself I was reading labels I found so many ingredients that I’d never heard of before or couldn’t pronounce. This became a concern for me. I didn’t want to put that stuff in my body so I went back to eating wheat products, but just trying to eat less of them. Now, 10 years later I am only eating gluten very occasionally and I think it’s OK for me. I don’t really have any issues that I’m noticing except that I still get addicted quickly and I have to be very strict not to fall into having bread every day. I honestly feel like we consume way to many processed foods. And it’s important to educate people as much as possible about healthy eating plans. It always comes back to balance. That’s great to hear! First of all Europe doesn’t genetically modify their wheat like we do in the United States. Second for the previous statement you can heal your gut by cutting out the gluten and reintroduce it back in but in moderation. I agree the we eat way to much processed foods!!!!!!!!! Since I posted my comments above, I have been studying the MTHFR gene and its enzyme and in particular Dr Ben Lynch’ s research. I think wheat and cereal foods have something far more significant added to them at the mills than gluten – Folic Acid. With one in two of us suffering methylation problems due to polymorphisms in our MTHFR gene, folic acid (wholly synthetic) disrupts our ability to absorb methyl folate into our cells. This has a dramatic effect on over 200 enzyme processes sitting under the control of this gene. Of course this impacts our health very badly too. It’s worth looking into. I’ve heard that ADHD behaviour can be affected by a gluten-free diet. Has anyone else tried this or heard of anyone that has and the outcome. My son had ADHD and Aspergers and this diet has been advised but as the majority of foods he eats contain gluten (and dairy, which I’ve heard is another no-no), I think it would mean huge weight loss and huge problems with food which, luckily we currently don’t have! Before trying anything drastic with your son, you’d need to rule out a gluten sensitivity. For the past month we’ve been working hard on a new science report on how to diagnose it – we’ve developed a diagnostic algorithm based on new research and I can envisage that 99.99% of doctors may not be up to date with this research yet, which is a shame. We’ll post the link to our report here once published (you’d need the optional subscription though!!). It is interesting to note that while the increase in the amount of gluten in today’s grains was discounted through studies, there was no investigation (that I am aware of?) of whether we may eat more grains than 100 years ago leading to an increase in gluten intolerances/sensitivities. My personal observation (as a health coach and holistic wellness advisor is that with the trend of eating more whole grains as well as vegetarian lifestyle changes, many people increased their grain consumption. In addition, I know many “junk” vegetarians who eat primarily grains NOT vegetables. I would suggest that so many health ailments that we experience, including gluten sensitivities has to do with the fact that we don’t nourish our bodies with nutrient-dense foods. Instead, we follow the latest trend and try to remove foods from our diets instead of focusing on adding foods that will support our bodies in digesting the rest! Just my 0.02… do well, be well, emBODY well, everyone! Hi Tanya, It’s worth studying the evolution of wheats. The earliest wheats in pre-Biblical times only had 11 chromosomes. The crops we grow today have 42 chromosomes. That is an awful lot of extra genetic material that was added mainly in the 1950’s onwards from chemical and radiation manipulation. There was a worldwide pressure from governments to increase yields rapidly after WW2. We needed more grain sites on the wheat ear and a far shorter stiffer straw to support this extra weight. Density of crops increased and so fungal and insect attacks were more common in more natural open growing crops. Every change brought in new problems that needed new solutions and so we have very high yielding chemical dependent wheat crops today. Nutritional quality was only looked at in terms of protein levels and gluten for ease of bread making. The density of nutrition decreased and a burden of toxic chemicals increased within grains. If you then further consider the processing of wheat in manufacturing processes, then it all changes again beyond recognition from those ancient wild crops grown by our distant ancestors. 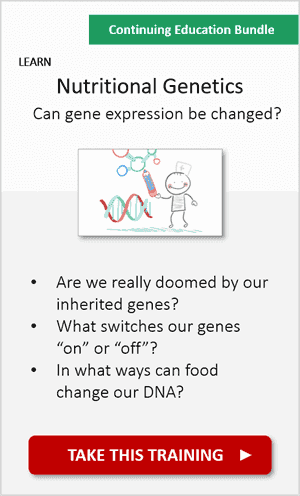 We now know nutrition quality in our diet directly controls the switching on or off of harmful genes via the process of epigenetics. We should marvel at the adaptability of our biology to appear healthy when under such an assault of change. My mother was diagnosed with celiac disease in 1979 when she was 37 years old, when it was virtually unheard of and the only way to get gluten free products was to have a presciption for gluten free flour and make all baked products yourself. She had been ill for the majority of her life until she went gluten free when she then saw a return to full health. I myself failed to thrive as a child and was a very fussy eater saying that foods made me feel sickly. When my mother switched to a gluten free diet I was 13 years old. She cooked for the whole family so consequently I started eating more foods that were gluten free and Hey Presto! I suddenly started to grow more and develop. I continued to eat some foods containing gluten aswell but did suffer with nausea, bloating and gas. This just seemed normal to me and my parents/doctors never suggested a celiac test for either myself or my sister. Celiac disease can be hereditary. Wind forward to age 60 my mother was diagnosed with oesophagul cancer, which has links to celiac disease, and she sadly passed away despite having her oesophagus removed and her stomach moved to her chest cavity. My daughter who had severe gastrointestinal discomforts as a baby and through her early years no longer suffers as she also has elimanated gluten from her diet. Although neither of us have been tested for celiac disease/non-celiac gluten sensitivity (we would have to return to eating gluten and suffer the symptoms for 4 weeks to be tested)these are very real conditions for some people and not just a fad diet. If you suffer from these conditions and fail to change your diet it can lead to real health problems. 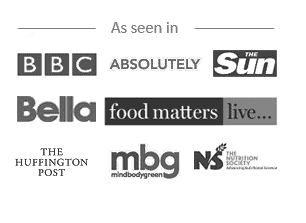 I find it annoying that the sceptics out there label everyone who has not been tested as just jumping on the latest food-fashion band wagon. If your health improves significantly when removing gluten from your diet, whether tested or not, surely that is what we are all hoping to achieve – a better, healthier, fitter future! Back in my macrobiotic phase in life (teens) I used to consume a lot of saitan (made from Gluten). Never had any issues with the stuff and I remember that my body fat percentage was only 10% so my experience is that gluten on its own is a super healthy protein. I’m wondering if perhaps the factor causing issues may lay in the harvesting methods and use of (carcinogenic) Glysophate. Which produces a slightly higher yield as the plant sheds it’s seeds quickly in the knowledge it’s going to breath its last (glysophate is highly toxic and should be banned). Just a thought. I have lived on a farm and observed the diminishing health in local villages and would be interested in any links you share,If you care to share them. As cheaper harvesting and more spraying continued over the 7 years I was there so did sensitivity , SEVERE IBS and cognitive problems in children with only 1 child managing to reach university level education in seven years. Is this connected? I stopped eating gluten because I read that it could get rid of keratosis pilaris. It didn’t but I no longer have restless legs syndrome, I am 100 % cured as long as I avoid gluten, or maybe something else in gluten containing foods. I can eat a little once in a while without any problems but I try to stay away from it because I have read that it is good to avoid for people with ADHD and autism and I have both. For many years …..since childhood, I was ‘written off as a spoilt and picky eater. These findings (Ravi Chibbar) and FODMAPS have helped my mother to explain her own dietary problems. There has also been a link between severe anaphylaxis and these poisons which led to testing to reveal that nearly all of our family suffer from non-coeliac gluten sensitivity (lactose being the main trigger alongside sweeteners and wheat. It is refreshing that children are no longer punished for not eating the toxins of ‘latest wonder meals.